Flight To Success: Fly-In Open House! 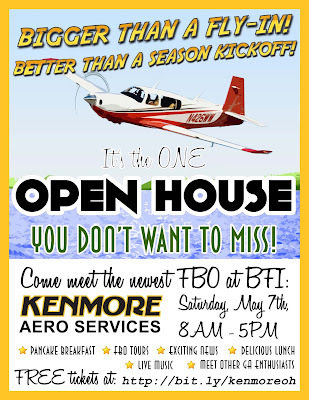 "Come one, come all – aviators, students, passengers and enthusiasts alike join us for the biggest Open House Boeing Field has seen!" 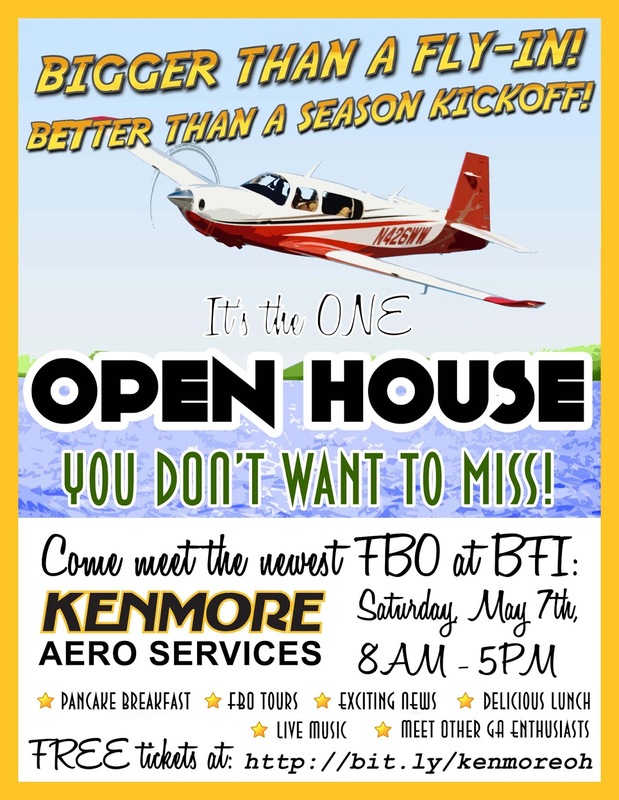 The newest facility on the field, Kenmore AeroServices is hosting an event that starts at 8am with a pancake breakfast, with live music and delicious burgers and brats for lunch. The party wraps up at 5pm so don’t miss this opportunity to join us, meet the staff, tour the facility and come prepared for some big announcements that focus on keeping GA around for a long time to come at BFI! Rain or shine, we will have the seating/ band and food in the hangar so the party is on regardless of what weather may come. We would love to see you there and all we ask is that you get your free tickets so we can plan for planes, parking and food,. You can get tickets at http://bit.ly/kenmoreoh and if you have any questions, feel free to call me or send me email at jason@aviators-bfi.com.